Nimisha is exhausted. Of endless weekdays, working weekends, making presentations, working with complicated Excel sheets, handling a boss with time-management issues and the general politics of the workplace. Sigh! After eight years of this life, her only personal insight is that she's terribly unambitious and constantly struggling to be an average performer in the competitive corporate world. When a colleague flashes the glint of a golden sabbatical she catapults into it headfirst. After all, one has to find one's calling at some point in one's life. So will the sabbatical miraculously change her life forever? Or will she go rushing back to her pocket money-generating job? 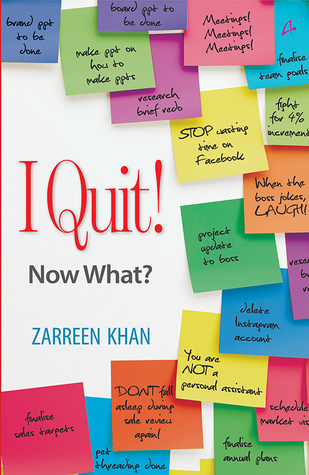 The author, Zareen, is NOT on a sabbatical. She is mother, cook, maid, doctor and magician for her kids - a very demanding job! And when she gets time off, she works as a marketing consultant. She lives in Delhi with her husband, Moksh and children, Zayn and Iram. My first reaction on reading this book was - Sigh! I wish I had read it 3 years ago when I quit my corporate career! This book is a wonderful depiction of a corporate slave's journey into knowing her true calling. I dare to call Nimisha a "corporate slave" because that is what I believe we all do when are employees. We seldom think of anything beyond deadlines and most importantly (scarily too!) we tend to associate a certain self importance with ourselves making us believe that we are indispensable and that the company cannot do without us. And there starts a series of mistakes we make till we reach a dead end, of not knowing what to do, where it will lead to and how to get out of this ! This book starts exactly at that dead end., telling us what Nimisha did when she realized that she was stuck. The author Zarreen, as you can make out from her bio, has an amazing sense of humour which reflects in her writing as well. She has made this book a thoroughly enjoyable read. The character of Nimisha is one that you can not only associate with but also one that will stay in your memory for a while. Flipping through the pages, I realised how important it is to take things light in life. After all why be so serious!Each and every character in the book reminded me of someone I had come across in my career while working. I finished the book in few hours, it is a perfect breezy read that added colours to my dull grey Sunday afternoon when I badly needed a happy feel good read that would instantly pick me up. Strongly recommended for its witty writing and lovely story telling with an underlying message that will leave you thinking! 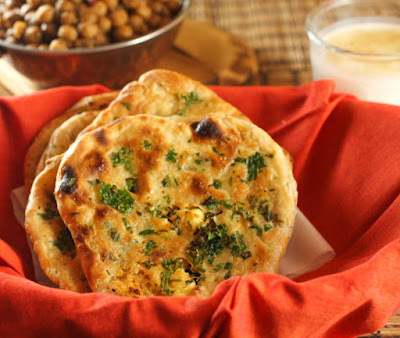 This book is like Paneer Kulcha- spicy, crispy, tangy and crunchy - all rolled into one to give a perfect bite that feels like food for soul! The paneer khulcha make me wanna grab this book. I can relate to the above review when I quit my corporate job in 2013. And hi-fi for such similar thoughts!